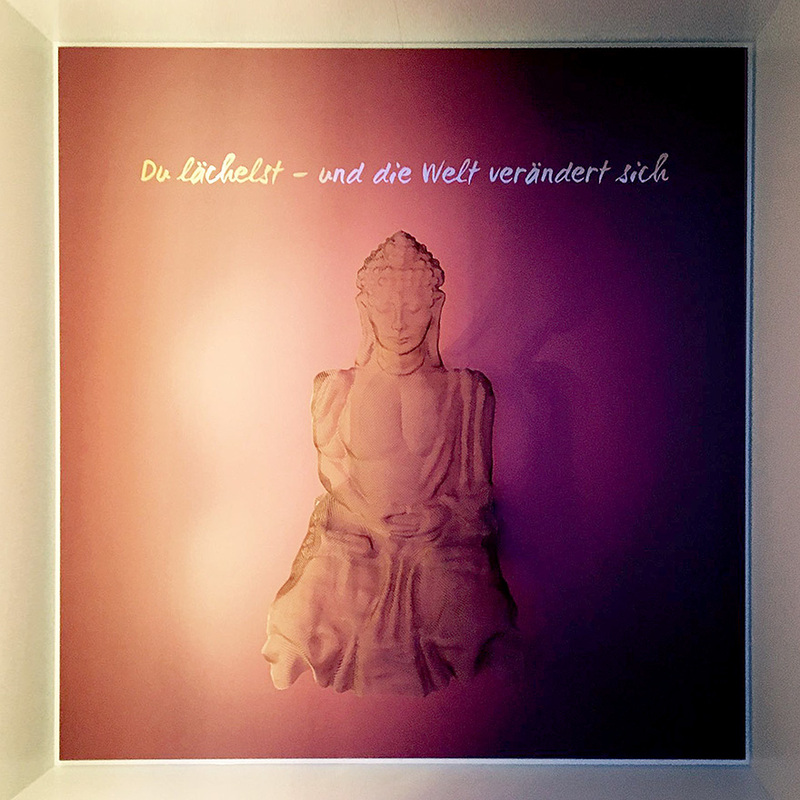 ‘TRANSFORM’ 2013 was commissioned for the spa area of Cruise Ship ‘Mein Schiff 5‘ and is wall-mounted as a mysterious but relaxing artwork. 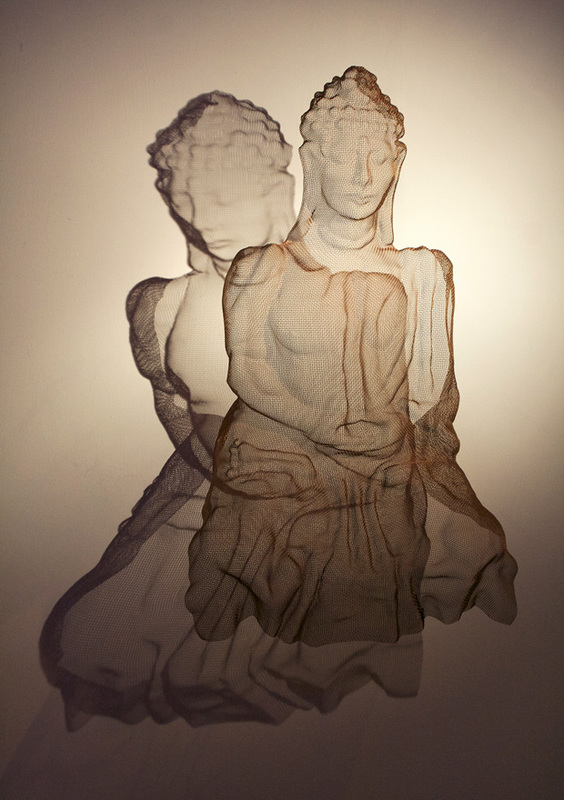 The calm expression of the face changes with different angles of simple spot lighting. 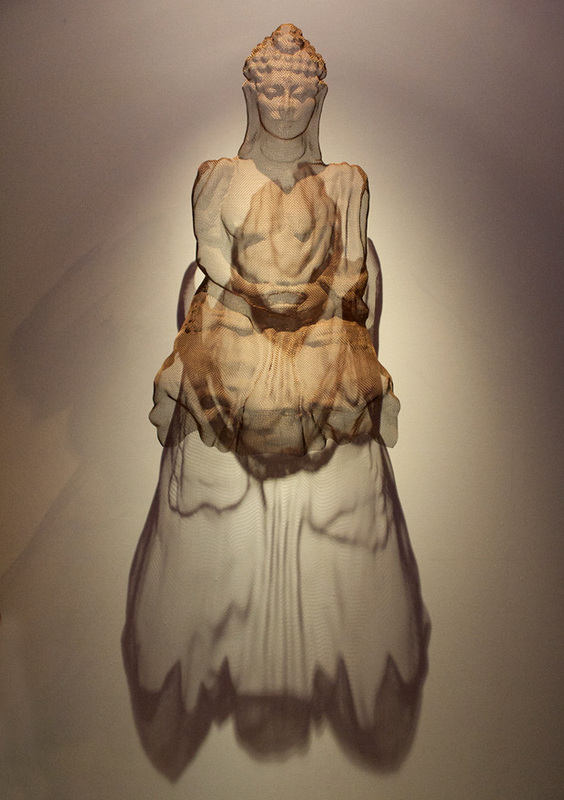 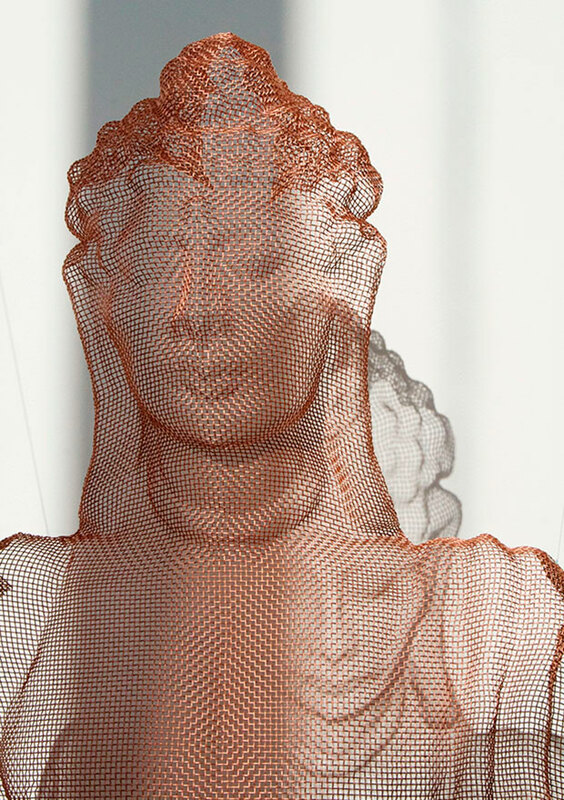 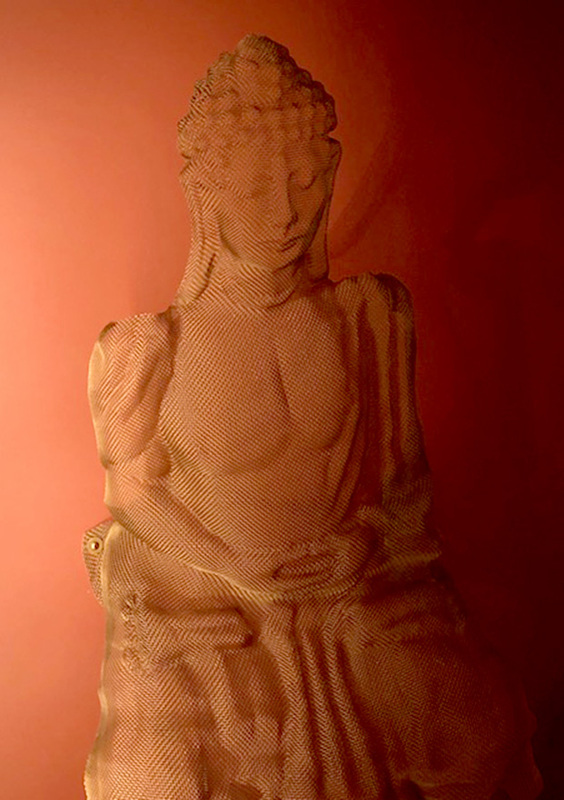 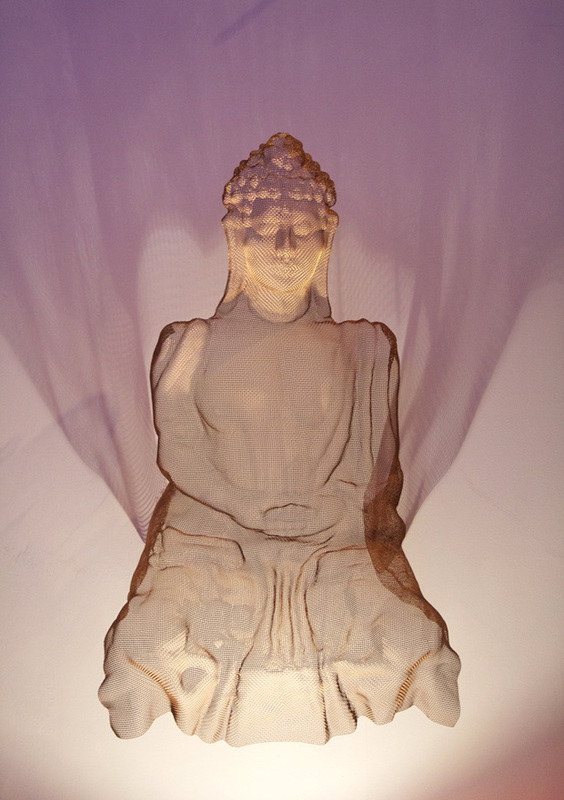 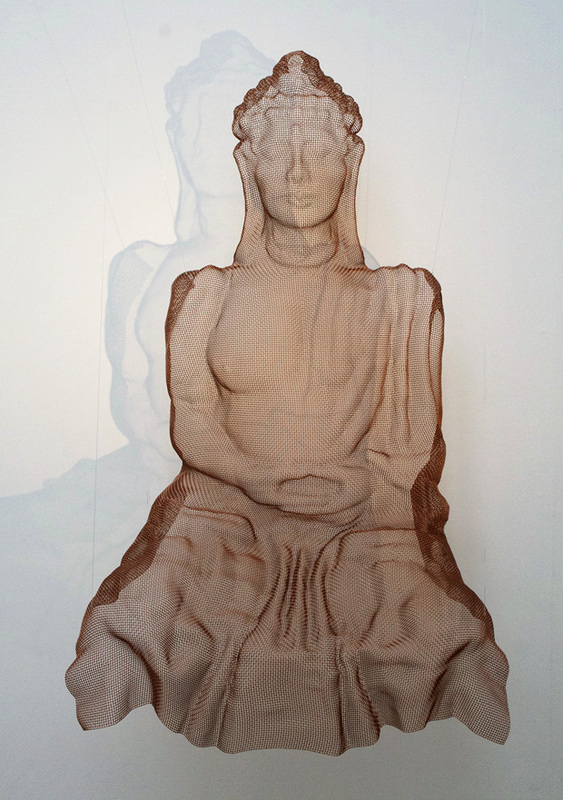 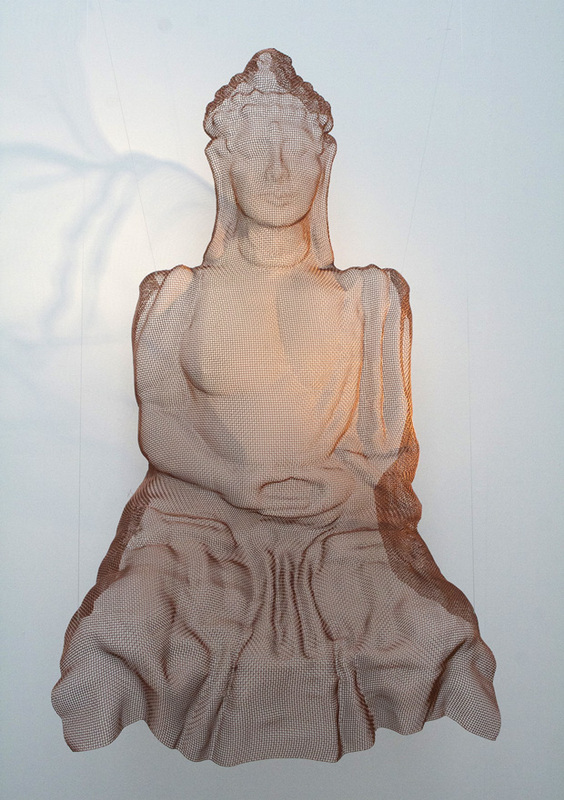 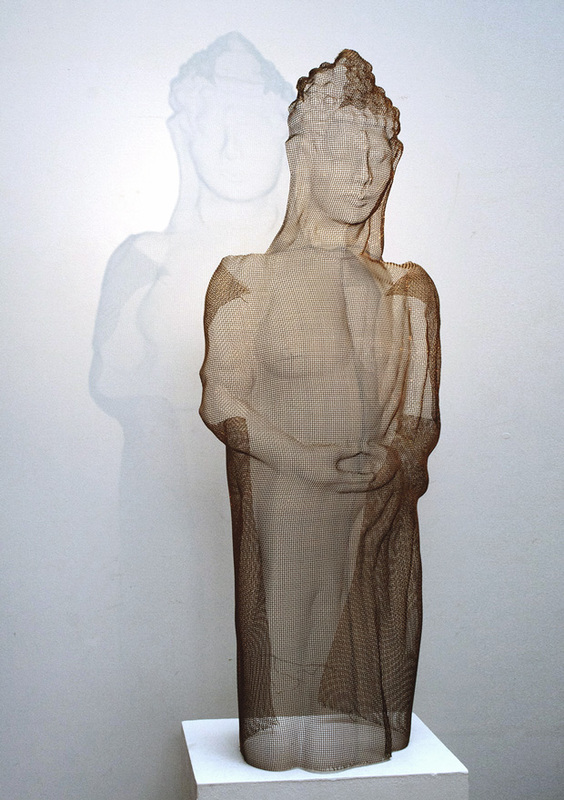 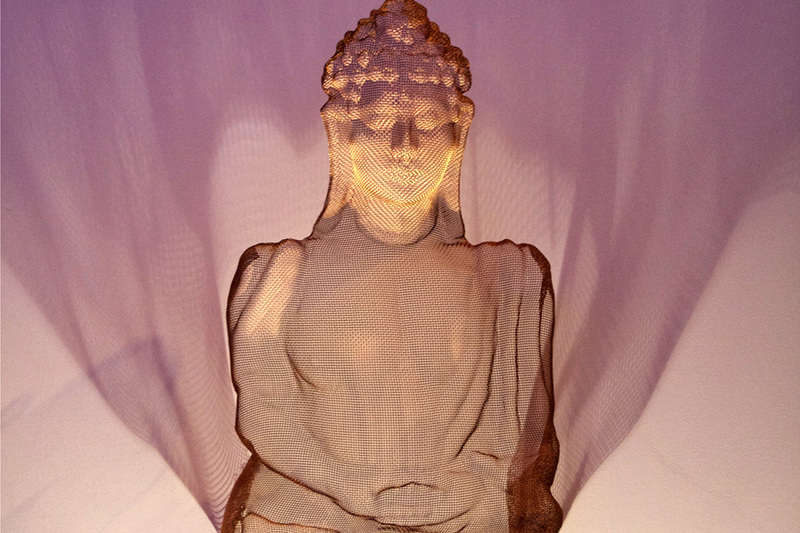 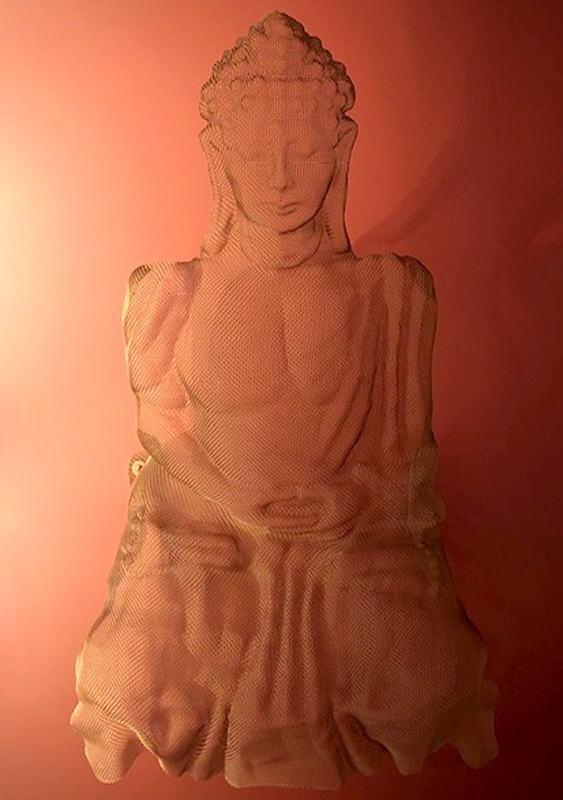 The Buddha sculpture is made from one sheet of bronzemesh and modelled using very own (self-made) tools. 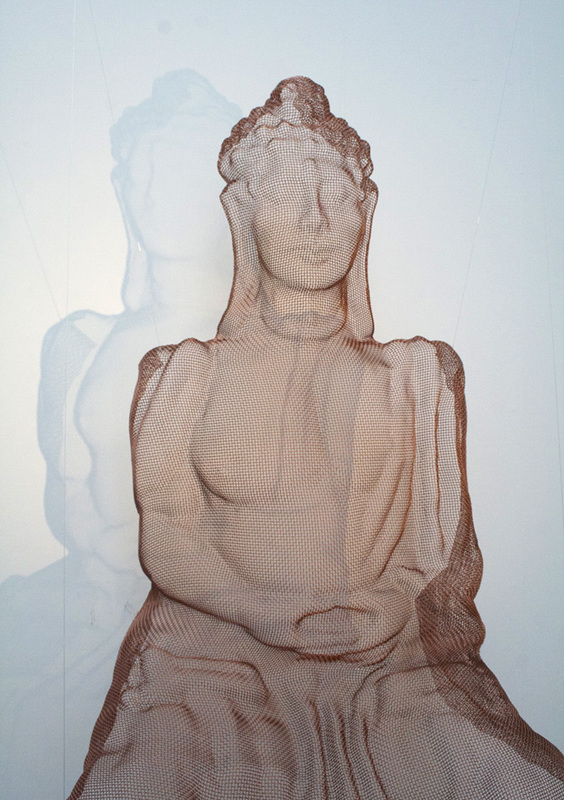 The sculpture is ’fixed’ joining each wire intersection so that the artwork is quite robust and stable.